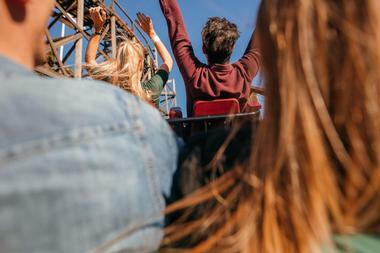 There's really nothing quite like the feeling of riding a roller coaster. 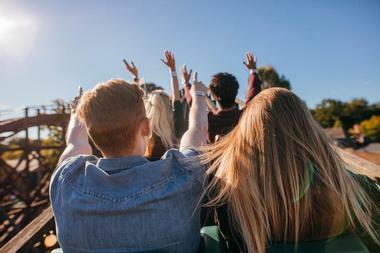 From the feeling of weightlessness just before the fall through the breakneck speeds as the ride plummets down a drop to the twisting turns that make riders shriek with delight and throw their hands in the air, a day at an amusement park is never complete without a turn on one of these thrill rides. 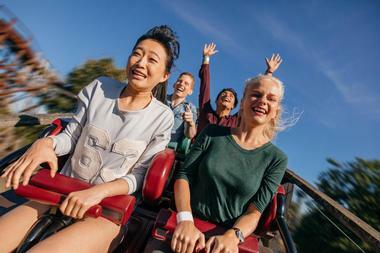 From Ohio to Japan, here is a list of some of the tallest roller coasters in the world, and every single one of them is sure to take its riders' breath away. Cedar Point is the undisputed Roller Coaster Capital of the World, and with rides like Steel Vengeance, it's easy to see why. Steel Vengeance is the first hybrid steel and wood roller coaster in the world, and those brave enough to take a ride will find a 90-degree drop straight down, four stomach churning upside-down loops, and almost 30 seconds of weightless airtime, more than any other coaster in the world! Steel Vengeance reaches speeds of up to 74 mph, and its tallest peak reaches heights of 205 feet above the ground. 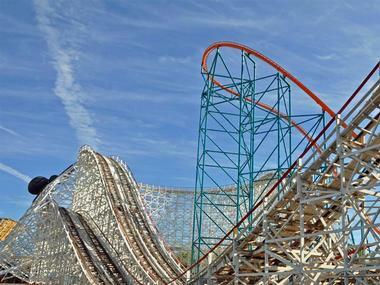 Twisted Colossus is a wood and steel hybrid roller coaster – the longest of its kind in the world – located in Six Flags Magic Mountain Park in Valencia, California. Originally built in 1978, the Colossus has always been an iconic part of this park, but in 2014 the ride was closed for an extreme makeover, and has reemerged in 2015 as the Twisted Colossus, a steel-tracked, amped-up version of the classic ride. 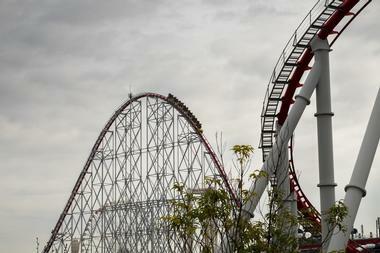 The new version has higher speeds, twisting barrel rolls, and an initial 128-foot drop at an 80-degree angle. Kingda Ka is the tallest roller coaster in the world, and its breathtaking heights of up to 456 feet above the ground quite simply dwarf many of the other coasters on this list. The King, as it is called, is a steel coaster that goes from 0 to 128 mph in a staggering 3.5 seconds, up a 90-degree slope to the top of the first peak. From there, riders will plummet back toward the ground in an intense spiraling drop, sail over a small hump, and be deposited, breathless, back at the station. The ride is less than a minute long, but it might just be the most exhilarating 50 seconds of your life. This short coaster, located at Cedar Point, mimics the feeling of drag car racing, if drag car racing had a massive peak involved that is. The roller coaster launches riders from 0 mph to 120 mph in mere seconds, up a steel track that climbs 420 feet high at a 90-degree angle. On the way back down, riders will careen toward the ground at the same sheer drop, with the added excitement of a spiraling twist. The ride comes to an abrupt halt shortly afterward, bringing the total ride time of the Top Thrill Dragster to a short but exciting 17 seconds. 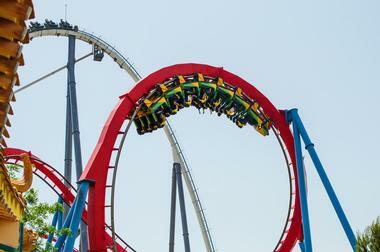 Superman: Escape from Krypton is a steel coaster located at Six Flags Magic Mountain. It's an acceleration ride that shoots riders from the darkness of a cave-like station, up into the air at heights of over 400 feet, and then straight back down again. It's like several of the other acceleration thrill rides on this list, except that Superman: Escape from Krypton sends its riders hurling out onto the track backwards. A breathtaking ascent up the track leads to over 6 seconds of weightlessness before the coaster car begins its equally thrilling descent. The Tower of Terror II begins quietly, with a moment of tense silence before the ride takes off in a blast of speed, going from 0 to over 100 mph in just 7 seconds and sending riders backwards at top speeds. The vertical tower of this roller coaster extends almost forty stories up into the sky, and riders will barrel up that steep slope before coming back down again face first. The ride mimics the experiences of an astronaut, first being blasted up into space, then the sensation of zero gravity, before coming back down to Earth. 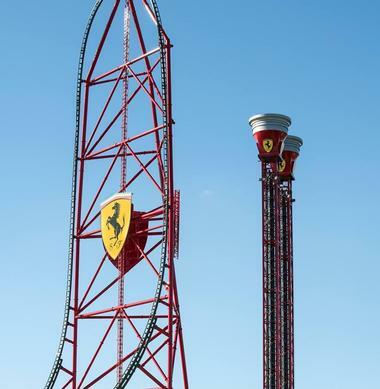 This vertical accelerator roller coaster is a part of Ferrari Land amusement park in Spain, and it is the fastest coaster in Europe and the fifth tallest in the world. Its tower summit reaches heights of 367 feet, and riders will experience an acceleration of 0 to 111 mph in just 5 seconds at the start of the ride. The Red Force has a vertical launch with a thrilling 90-degree angle to the top of the tower and back down again, and this short but incredibly fun ride will leave passengers reeling from start to finish. Fury 325 is the tallest giga coaster in the world, meaning that it is a full-circuit roller coaster with a height and drop of 300-400 feet. At 325 feet, Fury 325 fits right into these criteria, and guests at Carowinds, a North Carolina theme park, will be thrilled by the 95 mph speeds, 81 degree drop, and 91-degree turns. With barrel rolls, twists, and loops, Fury 325 is designed to emulate the swooping, furious flight path of an angry hornet. 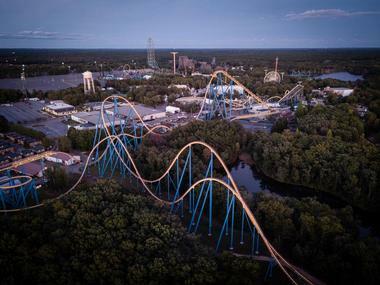 It's the longest steel coaster in North America, and the tracks of this ride cross state lines, zooming into South Carolina before heading back into North Carolina. The Steel Dragon 2000 is the longest roller coaster in the entire world as well as one of the tallest, and the 4-minute ride on this steel roller coaster will take riders into the sky at heights of over 300 feet. Before zooming around the park at 95 mph, the Steel Dragon 2000 builds anticipation with a slow climb up to the summit, and then it sends its riders barreling down the slope at top speed and around the twists and turns of the track, which stretches for over a mile and a half long. The Millennium Force is famous amongst roller coaster aficionados. 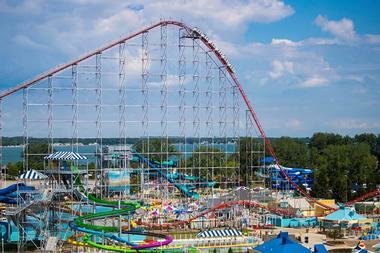 This giant of a ride is located at Cedar Point, the Roller Coaster Capital, and when it was built, it became the world's first giga coaster because of its insane drop of over 300 feet. The Millennium Force reaches speeds of 93 mph, and it will have guests screaming with delight as it crests a summit with views of Lake Erie, and drops at a 90-degree angle down toward the ground, whips around turns, traverses dark tunnels, and follows the twisting blue track all the way back to the station. 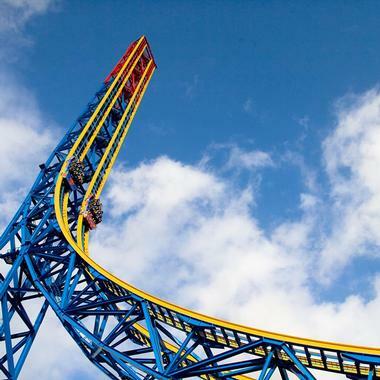 Canada's Wonderland is a theme park just north of Toronto that is home to the Leviathan, a steel-track roller coaster whose tallest hill reaches 306 feet. 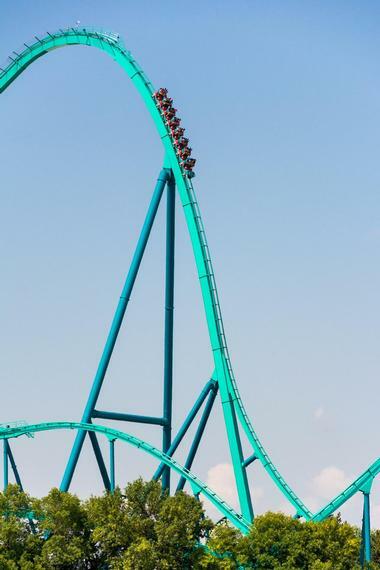 The Leviathan is the tallest coaster in Canada's Wonderland, and it reaches speeds of 92 mph during its epic journey across the turquoise tracks. Riders will travel distances of over 1 mile on the Leviathan, including the 80-degree drop from the summit hill. The ride leads passengers on a twisting, turning journey that will flip them upside down and whip them around turns on an epic adventure. 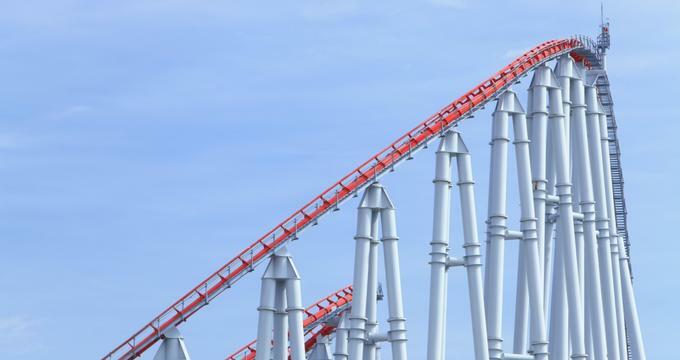 King's Dominion is a Virginia theme park near Richmond, and it is home to the Intimidator 305, a massive red and yellow steel roller coaster that will thrill its passengers. At its tallest point, the Intimidator 305 stands 305 feet tall, and the height of the first drop is an even 300 feet, at a steep 85 degrees. 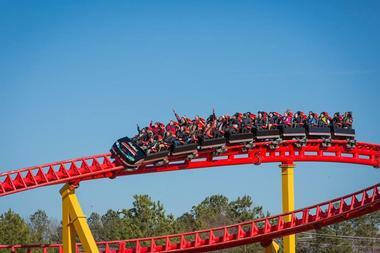 The high speeds of up to 90 mph, coupled with the breathtaking twists and turns along the way, have earned the Intimidator 305 a reputation as one of the most thrilling roller coasters on the United States' East Coast. When it was built in 1996, Fujiyama broke several records as the tallest roller coaster in the world, the fastest, and having the highest drop. 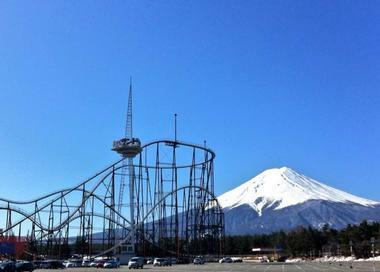 With a summit height of 259 feet and speeds of 81 mph, Fujiyama is a thrilling ride. Named after the famous Japanese Mount Fuji, the Fujiyama roller coaster has a steep slope just like its namesake, and will send riders plummeting down 230 feet at its first drop. The ride then consists of an exhilarating series of twists and turns, with bunny hills and headchopper moments that will thrill its riders. 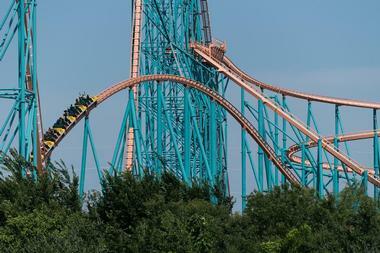 Titan, located at Six Flags over Texas in the USA, is an example of what is known as a hypercoaster – a tall, full circuit roller coaster with a drop of over 200 feet. But the Titan takes it one step further, as a hyper twisted coaster, which means it sends its riders through a mind melting 540-degree spiral, and then on another one immediately afterward. The bright orange steel of this roller coaster bends up and down over humps and hills, maneuvers around tight turns, and does it all at speeds of up to 85 miles per hour. 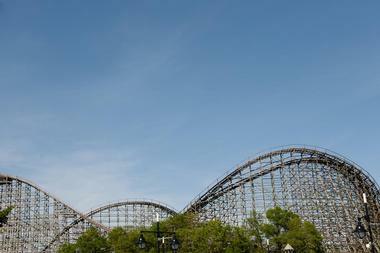 When the Phantom was built in the 1990s, it was one of the fastest and tallest roller coasters of its kind. But in the year 2000, Kennywood Park in Pittsburgh, Pennsylvania, announced that they would be closing the iconic ride. In its place, they built the Phantom's Revenge, a hypercoaster with a lime green track and a showcase drop of 228 feet. With speeds of over 80 mph, high-speed twists and turns, and hills built for airtime, the Phantom's Revenge has all the joys of the original coaster, but with the added bonus of modern technology for even more of an unforgettable ride. The Shambhala, located at PortAventura in Spain, takes its name from a region in the Himalayas that is completely inaccessible. 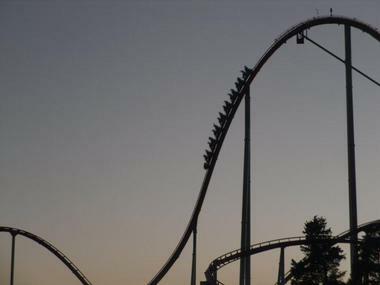 It currently holds three European records, as the tallest, fastest, and longest drop hypercoaster on the continent, with an initial drop of 256 feet and speeds that reach up to 83 mph. A chain lift hill brings rider slowly to the summit, where they soon come crashing down again at a nearly 80-degree angle. Shambhala features turns, hills, a figure 8 feature, and even a splashdown as the ride dives beneath another coaster at the park. 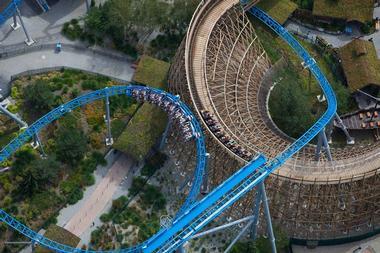 Wildfire is a wooden roller coaster in Sweden, located in Kolmården Wildlife Park. It was built in 2014, so unlike many other wooden roller coasters, Wildfire is comfortable, modern, and designed with modern innovations in mind. With speeds of up to 70 mph and an initial drop of 160 feet at an 83 degree angle, Wildfire is the fastest wooden roller coaster in Europe and also ranks as the second tallest wooden roller coaster on the planet. A ride on Wildfire features over 15 airtime hills, where passengers will feel a weightless sensation, as well as two heartline rolls, and side-to-side twisting turns. Everland, the largest amusement park in South Korea, is home to the T Express, a wooden roller coaster that is the fourth steepest of its kind in the world. The T Express is built on a hill, and it uses that natural height to its advantage, with a 150-foot drop from its chain lift hill and a 77 degree slope on the way down. The T Express was the first wooden roller coaster to be built in South Korea, and it's one of the most popular rides at Everland. 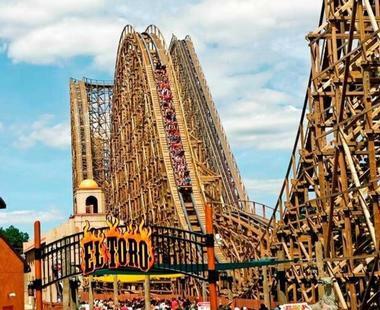 El Toro, located at Six Flags Great Adventure in New Jersey, asks its riders if they're ready to try and tame el toro, the bull. This goliath of a wooden roller coaster looks at first glance like a classic old ride, but it was built with modern engineering technology, so it offers its passengers a smooth, fast, and exciting ride, much more so than an old wooden coaster. With a drop of 176 feet at an angle of 76 degrees, El Toro has the steepest drop of any wooden roller coaster in the country, and after that terrifying free fall at speeds of 70 mph, passengers will experience a series of bucks, hills, and side-to-side movements that will make them understand exactly why the park compares this ride to being on the back of a rodeo bull. Holiday World and Splashin' Safari, located in Santa Claus, Indiana, is a theme park and waterpark. 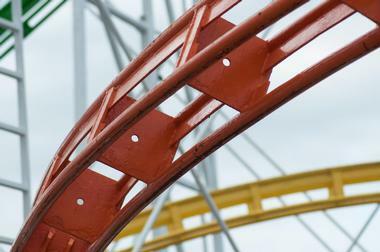 It is home to The Voyage, a wooden roller coaster that has been voted the best of its kind in the country. The Voyage focuses on giving its riders as much airtime as possible, with hills and maneuvers that add up to almost 25 total seconds of zero gravity weightlessness. 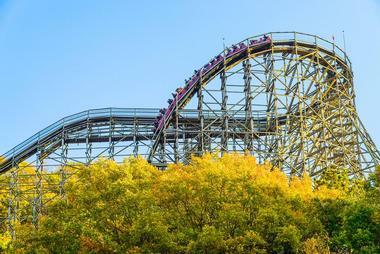 The entire ride is approximately 1.2 miles long, making it one of the longest wooden roller coasters in existence, and the ride features a record-breaking five underground tunnels, banked turns, and a 163-foot hill. The White Cyclone is recognizable from the minute you step foot onto Nagashima Spa Land, the Japanese amusement park it calls home. This wooden roller coaster is painted white, and the struts and supports which hold it up can be seen from all over the park, especially at night when they are lit up. The White Cyclone is named for the twisting spiral that is the centerpiece of the track, but the roller coaster also features speeds of 63 mph, a drop of 129 feet, and the status of the longest wooden roller coaster in the world. 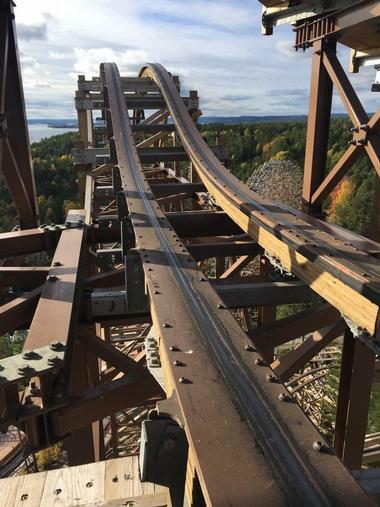 The Hades 360 features a 140-foot drop at a 65-degree angle, and a ride on this wooden roller coaster will thrill every passenger to have a seat in the train. The Hades 360 breaks several records as it contains the world's longest underground roller coaster tunnel and also features another tunnel with a steep 90-degree banked turn in total darkness, a first for the world of wooden roller coasters. In 2013, the original coaster, the Hades, was partially rebuilt, and after the addition of some banked turns – including one at 110 degrees – and a corkscrew inversion, the ride was reopened under the name Hades 360. In old German Saxon, "Wodan" was the name for the Norse god Odin, the All-Father who was the leader of the Norse gods. But Odin was also known as a trickster, and that mischievous quality comes through in this ride. In line for the Wodan, guests will experience Norse-themed statues as well as special effects featuring fire, water, and mist. The Wodan Timbur Coaster, a wooden roller coaster whose tallest hill reaches 131 feet, leads its passengers through tunnels, weaves around other rides and parts of the park, and reaches speeds of up to 62 mph. 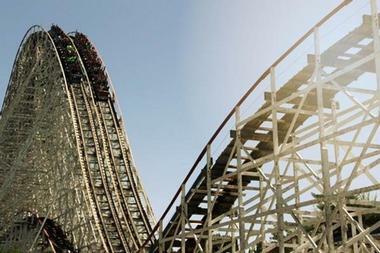 Le Monstre is a two-track wooden roller coaster located at La Ronde in Montréal, Canada. At 130 feet, it is the tallest two-track wooden coaster in the world, and is also the largest of any wooden roller coasters in all of Canada. Le Monstre was first built in 1986 and reaches speeds of 60 mph. The ride also allows passengers to experience an incredible amount of airtime, and because the lap bars and seat belts are purposely made just a little bit loose, riders on Le Monstre will actually float in their seats during some of the zero gravity moments of the ride. 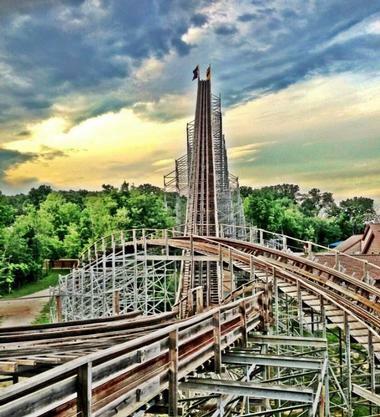 This two-track racing wooden roller coaster, located at Six Flags Great America in Illinois, is the tallest and fastest wooden racing coaster in the world. With an initial climb of 127 feet, both tracks descend the hill at speeds of up to 66 miles per hour. The trains then race through twists and turns, over hills, and then into a massive 360-degree cyclone. After this thrilling helix, both trains split up, only to meet back at the station, racing to the finish line at breakneck speed to see who will get there first.